Gloria Borger's specialty as a journalist is getting behind the headlines -- answering the "why" about the way Washington works. As a senior political analyst for CNN and a political columnist for U.S. News and World Report, Borger's job is to explain Washington to the rest of the world. She understands and knows the personalities as well as the policy issues and helps audiences understand how what’s going on in Congress and the Obama Administration will affect them. 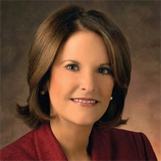 Gloria Borger serves as CNN’s chief political analyst, appearing daily on The Situation Room with Wolf Blitzer and across prime time programs. She is also a key participant in the network’s election coverage, America’s Choice 2012. Borger joined CNN in September 2007 with a wealth of Washington expertise and contacts that are reflected in her reported analysis. She has played an instrumental role in daily political coverage and CNN’s deadline reporting on a variety of topics including, the death of Osama bin Laden, the debt ceiling fight, and President Obama’s Afghanistan policy review. Borger also provides in-depth pieces and interviews for CNN, including a recent profile of Rep. Paul Ryan, whose budget proposal is at the center of the GOP policy agenda. Additionally, Borger writes a popular weekly column for CNN.com that also appears on TIME.com. She played a key role in the network’s political coverage during the 2010 midterm elections, as well as “America Votes 2008” coverage, which earned the network a Peabody Award. In 2011, Borger received an Emmy nomination for her 2010 piece “The Odd Couple.” In it she interviewed powerhouse attorneys David Boies and Ted Olson, who teamed up in an unlikely political and legal alliance in support of gay marriage – and against California’s Proposition 8. Borger was formerly CBS News’ national political correspondent and a contributor to CBS’s Face the Nation, 60 Minutes II and the network’s special events coverage. From 2002-2004, she was the co-anchor of CNBC’s Capital Report. Borger began her professional career as a reporter at the Washington Star where she covered politics and co-authored a daily serial, eventually published as a book, titled Federal Triangle, a parody of political life in Washington. Borger was a political columnist for U.S. News & World Report and chief congressional correspondent for Newsweek. Early in her career, Borger was awarded the Watson Traveling Fellowship to study the British press. Borger graduated from Colgate University in Hamilton, N.Y., where she has served on the board of trustees. She lives in Washington, D.C. with her husband, and has two sons.